In the fight behind completely dominant WorldSBK series leader Alvaro Bautista and completely dominant over second place Jonathan Rea, Alex Lowes has been ahead of his Pata Yamaha team-mate. 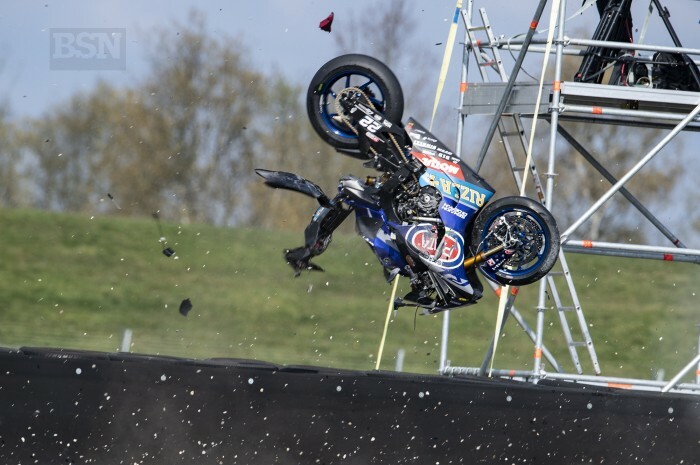 But things got shuffled around at Assen. Michael van der Mark beat him fair and square at his home round, but it is still Lowes who sits third overall in the championship chase. Assen was a change in many ways as all the WorldSBK riders had to take part in two full-distance races on Sunday. And like almost everybody else, Lowes loved it. “Today was quite good - a bit more of a challenge,” he told bikesportnews.com. “I think we should just do three long races. I felt quite good on the bike and in the second race I felt really strong until half race distance. It is testimony to the quiet but consistent improvement in Lowes’ race performances that two fourths feel fine, but a little flat with it. He expects more now. “I said to Charlie Hiscott in the Eurosport interview, to be disappointed with two fourths means we have come a long way. But Michael was great in that race. When he passed me with eight laps to go, I could not stay with him. Lowes also got to scrap it out with his old mate from the UK, Leon Haslam in each race. “It was fun. In the first race I had some arm pump and he passed me,” said Lowes. “Then I could see he was struggling with his bike, I managed to pass him back then in the last lap, in the chicane he passed me and went wide. “It is great when you are having a battle like that but it would be nicer if it was for a podium or first position. The bike was good in the second race and he passed me again and then went a little bit wide.